The deluge of new product announcements during the IFA Consumer Electronics Show continues — but in the case of Lenovo’s new S series products, it’s less about the Ultrabook stamp (or Windows 8) and more about affordability. The China-based PC maker has expanded its IdeaPad S line to include the new S300, S400 and S405 laptops. The lightweight laptops borrow some features from Intel-driven Ultrabooks, but technically they aren’t Ultrabooks. And the starting price point for these laptops, unlike some $1,000-and-up Ultrabooks, is just $499. The IdeaPad S300 and S400 come with either Intel Core i3 or i5 processors; the S405 model is available with AMD A8 quad-core processors. The IdeaPad S405 also offers up to a one-terabyte hard disk drive with an optional 32 gigabyte solid-state drive, while the others have 500GB of hard disk storage capacity. That all sounds pretty good — especially for the back-to-school crowd, right? 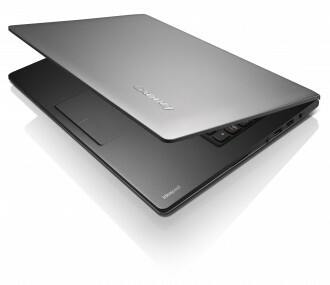 But, the one area in which the IdeaPads are clearly lacking is battery life, which Lenovo says is about five hours. And while PC makers have been showing off devices this week that are designed for Windows 8, Lenovo’s IdeaPad S line ships with Microsoft Windows 7 Home Professional, though they will be upgradable to Windows 8.